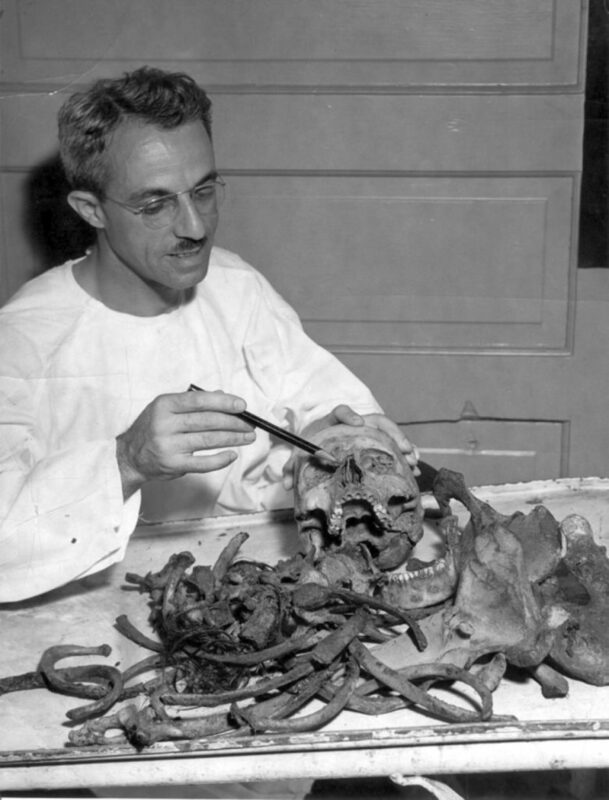 The Cleveland Torso Murderer (also known as the Mad Butcher of Kingsbury Run) was a serial killer who struck between 1935 and 1938 in the Cleveland, Pittsburgh, and Youngstown areas of Ohio. He killed a dozen but some believe that there may have been as many as 40 victims. The victims were usually homeless, working-class people whose names were never known. Only two or three were ever identified for certain. The murderer cut the heads off his victims while they were still alive and usually dismembered them, and poured oil or acid over the corpses. Most of the male victims were castrated. The first victim, an unidentified man, was found on 23 September 1935 in the Jackass Hill area of Kingsbury Run by two small boys who cried, “There’s a man down there — and he… hasn’t got any head!” The second victim was found on the same day about 9 m (30 ft) from victim number one. He was identified as Edward W. Andrassy, 28. On 26 January 1936 Florence Genevieve Polillo was found at 2315 East 20th Street in downtown Cleveland. Five months later, on 5 June, a male known as the “tattooed man” was discovered in Kingsbury Run. He had six tattoos, including one with the initials “W.C.G.” and another with the names “Helen and Paul”. His underwear bore the initials “J.D.” but despite a great investigation the victim was never identified. On 22 July another unknown male victim was discovered in the Big Creek area of Brooklyn, west of Cleveland, the only victim found on the West Side. Then another unidentified man, the fourth, was found dead on 10 September at Kingsbury Run. The first unidentified woman, nicknamed “The Lady of the Lake”, was discovered on 23 February 1937 near Euclid Beach on the shore of Lake Erie. On 6 June another woman was found beneath the Lorain-Carnegie Bridge. She was believed to be Rose Wallace who had vanished ten months earlier. Exactly a month later, a man was found dead in the Cuyahoga River in the Cleveland Flats. The venue was the same for the next female victim, found on 8 April 1938. On 16 August another female and a male were discovered at the East 9th Street Lakeshore Dump. There were three suspects for the murders but nothing more than circumstantial evidence was ever available and no prosecution was ever brought despite the best efforts of one detective called Eliot Ness.